The Collins 30L-1 is a grounded grid linear amplifier using four 811 A triode tubes. 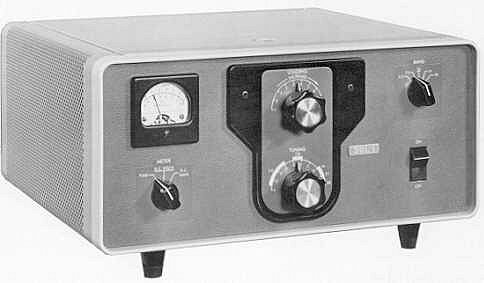 The amplifier delivers 1000 watts PEP power input on SSB and 1000 watts average on CW for all bands. It can be driven by the Collins 32S-3A Transmitter, the Collins KWM-2A Transceiver, or most 70-100 watt exciters. Finished in the same attractive light gray as Collins' classic S/Line equipment and the KWM-2A, the 30L-1 has all the controls conveniently accessible on the front panel. 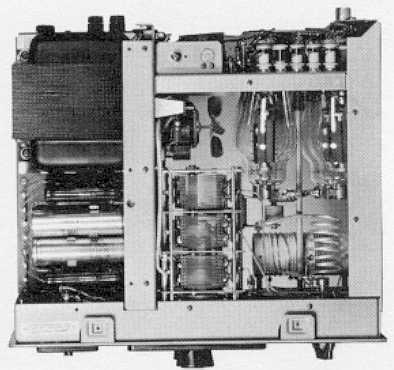 The 30L-1 provides SSB and CW operation and covers the 80, 40, 20, 15, and 10 meter bands; however, provisions were made for general coverage operation. Automatic load control provides maximum talking power without over-driving and distortion, resulting in a cleaner signal. The 811 A tubes can be replaced without removing the unit from the cabinet. The tubes are instantly heated so that there is no warm up delay. With the meter switch in tune position, the 30L-1 uses an exclusive comparator circuit allowing operation by simply adjusting the loading and tuning controls to zero the meter. The 30L-1's RF and power supply compartment covers operate safety interlock switches. Cover removal during operation closes these switches and shorts the high voltage to ground. The unit is operable outside of the amateur bands; however, retuning of the input circuits may be necessary. Attended operation SSB, continuous; CW, 5 min. key down, 15 min. off (standby). 115 vac or 230 vac, 50-60 Hz; CW, key closed, 1200 watts; SSB, no signal, 300 watts; SSB, speech signal, 550 watts. 70-100 watts for full output. 1000 watts PEP on SSB; 1000 watts on CW on all bands. Second harmonic -40 db; third order distortion -30 db. All removable panels interlocked. Input line fused 8 amps on each side. Variable. Nominally 50 ohms unbalanced with not more than 2:1 VSWR on the amateur bands. With feet 14 3/4" W, 7 3/4" H, 14" D (37.47 cm W, 19.69 cm H, 35.56 cm D).